I look forward to seeing how this develops. I'm glad to see BIONICLE coming around again... my wallet, not so much. Looks kind of Incan to me, which would be an interesting aesthetic choice. I hope it's the Mask of Creation - so far, the story hasn't done justice to Artahka. 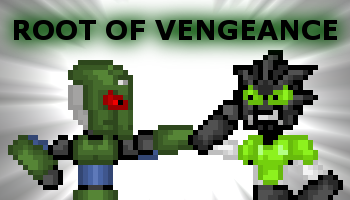 Check out my latest animations: Green, Vampire Owls, and Avengers Tower! The first episode of Nuva, Magnetic Mania, is now live! Check it out! It's all unfolding as the prophecies foretold. FOR VICTORY! FOR GALLIFREY! FOR THE END OF TIME ITSELF! I think the song "Happy" applies to everyone on BZPower today. Can we finally talk about the leaks ? How does that confirm anything of the sort? Rebooting the series wouldn't mean automatically rejecting any new ideas or designs. A reboot could take the series in whatever direction the writers want it to, which includes the possibility of masks, creatures, and concepts that might never have existed in classic BIONICLE. You're right, maybe it's not confirmed. But I don't think they would do a reboot without some tie to the past storyline. A golden Kanohi mask wasn't introduced until 2003 (and this is in no way the Avohkii) and before that the conflict was all about the creatures of the island. It wouldn't make any sense to fully rewrite the story and only keep the six Toa the same. I think that a continuation is more likely here. The whole point of a reboot is to sever it from the previous storyline and start new. At that point they can do whatever they want - borrow characters and story elements from the previous iteration, or just make something completely different. What you seem to be talking about is a soft reboot, where the previous story is not discarded, but is also not necessarily relevant to the new story. This allows new fans to get on board without feeling like they need to catch up on years of story, but also allows longtime fans to enjoy it as a continuation. I'm just hoping, if this is indeed the NYCC reveal, that we get some clarification on what the situation here is. Or if it's no longer taboo, see if Greg can fill fans in on what the deal is. 7. Putting all five Piraka in one tank seems like a dangerous idea. What if they start killing each other? 7) Who cares? They're creeps anyway. I prefer the excitement now rather than worrying about disappointment later that would be overshadowed by whatever we do actually get. If it's not as cool it'll be disappointing anyway and if it is cool then we'll have that to be happy over instead. Personally I have a good feeling about what they've got in store. Edit: this is directed at ET - on mobile so formatting quotes is a bit hard. Edited by Adventurer, Sep 08 2014 - 12:32 PM. Credit to Pohuaki for the awesome banner! Not any more than you could before today. As you said, those are still leaks and the fact that we now know BIONICLE is indeed returning does not change anything about those. If something about the old images was not allowed yesterday, it still isn't today. Of course you're free to speculate as wildly as you want about this new image. Edited by Gatanui, Sep 08 2014 - 12:33 PM. Please don't use my avatar or signature without permission, thanks! Wow, my first day back from my long hiatus and this happens! Anyway, I have complete faith in Lego that this'll be good. Plus, I think it'll be a reboot in order to have the most fresh story as possible. 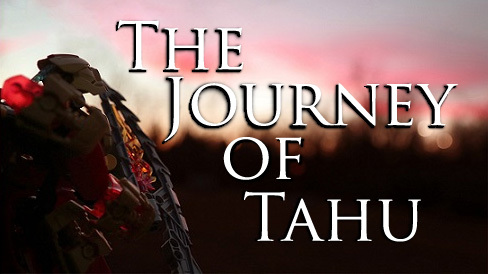 Though I do think that they'll use original story elements and take them in a new direction (example: six Toa on the island of Mata Nui need to defeat Makuta. Nothing more than that). That's about as fresh as it gets. If anyone's interested, here's the mouseover animation for this product page image. Nothing all that special, but figured some people might be interested. I would welcome a change to the Kanohi powers for the Toa. To me, Gali's Mask of Water Breathing in 2008 was kind of getting old in terms of the ability. I would love to see new masks, designs, and abilities (even better abilities than Life, Time, and Creation...). Ah, nice. I could still have looked for that one but I didn't bother as obviously it wouldn't show us more than the image itself, if anything, the animation would make it harder to see things. Thanks for finding and posting it anyway! Edited by Gatanui, Sep 08 2014 - 12:56 PM. I'm saving a $20 Target gift card for 2015. Knowing me, I probably won't focus on the story again, but if I think it's good, then what's stopping me? I just hope the new masks will be compatible with old heads. Yay, the rumors actually had something to them! Click here to read The Bohrok-Kal's Ramblings! Yes, I know there were 7 months between the last two episodes but oh well. I'm thinking the mask is the Ignika, it looks an awful lot like the old concept sketches, and the top reminds me a lot of the old Matoran heads. On the other hand, I doubt they'de be so quick to bring Mata Nui back into the story. I also doubt that the mask of creation will ever be portrayed in a set. The mask was described as if it were creation embodied, something impossible even for Lego to portray physically. Edited by Tamarutoe, Sep 08 2014 - 01:28 PM. Mantax can win connect four in three moves. I'd be down for an Incan style theme in the new Bionicle. Fair enough. Heck, I might have even fallen into my own trap by being convinced it's a reboot or will generally disregard past events, so might be a tad hypocritical. Whatever it is, at least I like the look haha. "He walks among us, but he is not one of us." Can't wait until we get actual details about the story! HURRAAAAY~! Now we can finally make all the skeptics feel silly for ever having any doubts in the first place. Edited by NickonAquaMagna, Sep 08 2014 - 01:22 PM. I freakin' exploded when I saw this. 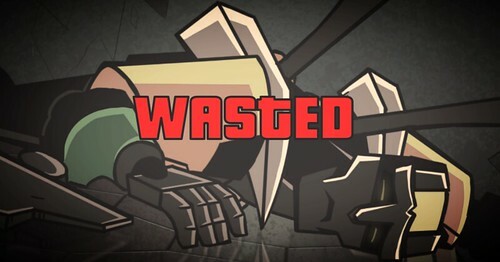 Unlike when I saw the news back in 2010 that Bionicle was ending, excitement is overthrowing me now and I feel joy inside me!! Looks like a crown of a tyrant king or something. Edited by Methaxx, Sep 08 2014 - 01:24 PM. Aww, you beat me to it. Nice job though! It certainly looks better than what I envisioned and it looks just like "The Mask." What should we call it, anyway? Mask of Hype? Darn, you beat me to it. I'm so sorry for that. Okay, I laughed quite a lot at that. 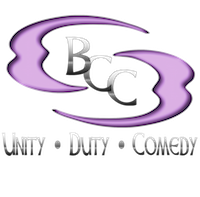 Check it out for laughs, discussion, and more. Great, now I can't un-see that. 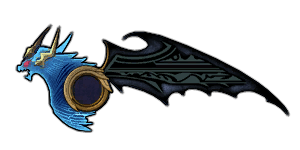 What if new Bionicle takes place in the Melding universe? They wouldn't have to do a reboot, because it is another universe to be explored! And Vultraz is currently in the Melding universe- he could be a king for all we know! The similarities between "The Mask" and the Vultraz with Kini-Nui on top are astounding! Let's all thank Gatanui for this. And then say yay. Edit: woah, 57 people are on this topic. I don't recall even seeing the rumor topic with so many people. Edited by Willess12, Sep 08 2014 - 01:55 PM. A lot of you guys are BIONICLE fans, many from way back. It's no secret that you are some of the smartest, most loyal, and most dedicated fans out there. You, and you alone, have carried the torch for the line over the last four years. Hopefully, you will feel rewarded for your efforts by 2015 BIONICLE. Regardless, I wanted to take this opportunity to say that I am really proud to be associated with you, and you should be really proud of yourselves"
Ordinarily, I don't do quotes, but this is special. Fire Ice Water Stone Earth Air... I mean Jungle. 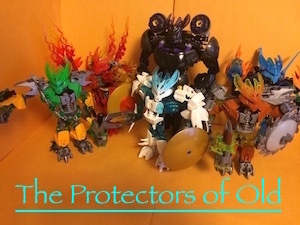 Bionicle: The Legacy Hero An attempt to put some magic back into Bionicle. I am pretty sure not even Greg Farshtey himself could persuade them to delve deeper into such an obscure universe. But what about the possibility of a reboot? What would people think of that? Would you prefer a reboot of BIONICLE or a continuation? Personally, I think a continuation with a timeskip would be the best. Edited by Nidhiki of the Shadows, Sep 08 2014 - 01:55 PM. Awesome! Logged in for the first time in ages because of this. I used to visit BZPower in 2007/2008. Edited by MrSciFiGuy, Sep 08 2014 - 02:13 PM. Bionicle: ANP aims to create narrated versions of all the Bionicle books, with voice actors for each character, and music taken from various media to enhance the story. Check here if you're interested in voicing a character, and here for the chapters that've already been released! Wow, long time no see Tronec. Think you'll come back to BMP after this comes to be? We could sure use the help with all the eventual new content. Staff/admin of BioMedia Project & Solis Magna. Founder of "The Beaverhouse". Can't wait for that akaku. 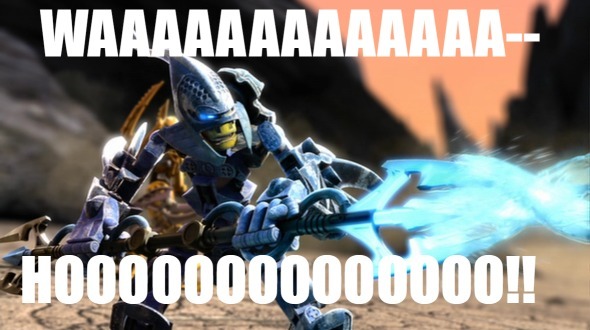 I have to say that Bionicle came back a lot sooner than I thought it would. Like, a whole decade sooner. Heck yeah. 2015's gonna be a good year. NEW NEW NEW! LEGENDS OF METRU NUI SOUNDTRACK REVIEW! New Old Video - 10 Years of G1, and Hello G2! Check it out! Bio will be back, and from this pic, I know it has not lost it's feel. I am very happy .